If you are looking to outfit a music room or auditorium stage, National Public Seating (NPS) is the manufacturer that has it all. 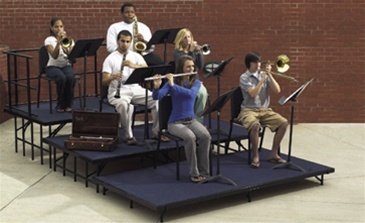 NPS has stocked for Quick Delivery Stackable Music Chairs, Music Stands, Stages and Seated Risers and Standing Choral Risers. With school budgets getting tighter and tighter, NPS is a great choice for value and quality.